THE FIRST STEP IN LEAN MANAGEMENT AND MANUFACTURING – ADDING AND MAINTAINING CUSTOMER VALUE. The Try Z seminar is the first step when introducing Lean Management and Manufacturing principles to the employees of a company. The experience gained in this seminar enables the participants to understand what is required in their specific areas. It also helps them to understand how to improve efficiencies and productivity no matter the task. But perhaps the most important learning is that continuous improvement can only be achieved with regular meetings providing for the participation of all in their area. 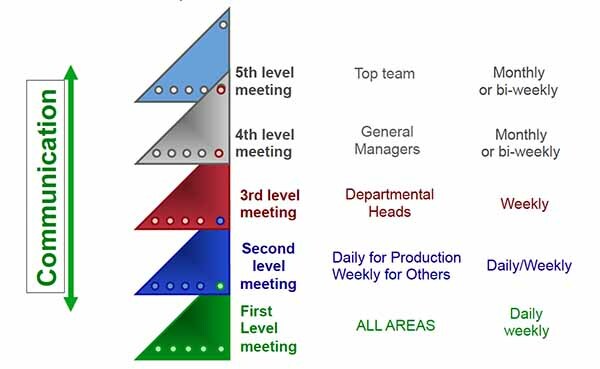 We call these meetings the Green Room meeting process – click on the link below this paragraph to understand more about Green Room meetings. The team are presented with up to date data displayed visually on charts so that they can determine what is going right, what is going wrong and how they can begin to fix the issues. Their ideas and suggestions become the life-blood of continuous improvement. Click and hold on the link below to navigate to the page. Return to the heading – “The Try Z Seminars” – and scroll to the bottom of the first page. You will see the names of the companies that have participated in the Try Z seminar. Always click on the ‘read more’ tab to open each post. This will reveal a picture and some data that this particular group achieved. These seminars begin the process of culture change within the company so necessary to continuously improve.